On 27 March 2018, the Unrepresented Nations and Peoples Organization (UNPO) and the Movement for the Survival of Ogoni People (MOSOP) jointly submitted a report to the Office of the High Commissioner for Human Rights, on the occasion of the 31st session of the Universal Periodic Review, during which Nigeria is under consideration. This report draws attention to human rights violations occurring in Ogoniland with a particular focus on violations resulting from oil exploitation in the Niger Delta region. The main issues covered in this report are the violation of Ogoni’s right to a healthy environment and of their right to health, the attack on peaceful civil society perpetrated by the Nigerian military forces and the lack of effective participation of the Ogoni in decision-making processes. The ruthless exploration of oil in Ogoniland since the 1950’s resulted in severe and widespread environmental degradation, with numerous oil spills and oil well fires causing grave environmental damage across the region as well as severe health problems. The operations of oil conglomerates, such as Shell, and the failure of the Nigerian government to regulate the oil industry and protect the rights of the Ogoni are the main cause for several human rights violations. 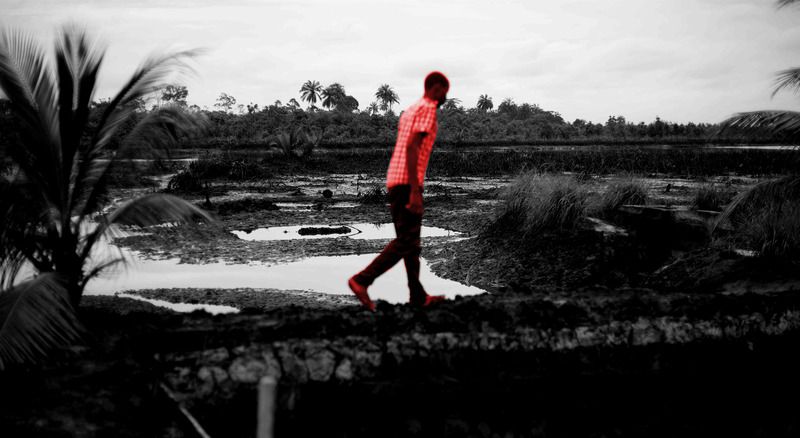 To this day, despite the publication of the United Nations Environment Programme (UNEP) study on the impact of oil pollution on communities living in Ogoniland in 2011, and the pressure of the international community to clean up the region, the Ogoni situation remains disastrous, as Nigeria and Shell have not taken any effective measures to clean up the polluted areas. Apart from the on-going pollution, the growing number of attacks against Ogonis is another reason for great concern. The planned construction of a maximum-security prison and modern cemetery in Ogoniland – disclosed in March 2018 by the Federal Ministry of Interior – represents a further step towards massive and systematic securitisation of the region, increasing tensions rather than working towards demilitarisation and de-escalation. Guarantee a multilingual education programme in schools that includes teaching Ogoni children their mother tongue.